Teaching computer to understand human language has been a challenging task for most researchers. Understanding what’s written, how it’s written, emotions and opinion has always been difficult. But, we’re also learning in this process, mostly how to „communicate“ with computers and make this process more easy for them. In recent year we can see the rise of old ideas whose success is result of advances in technology. Big data technology and deep learning are trendy words nowadays with reason. With big data technology we can now cope with vast amount of data coming from various sources in different structures and we can analyze them as they are created or in real-time. With this technology comes great power and responsibility. Possibility to analyze social data (Facebook, Twitter, Youtube), web data (Wikipedia, news websites, scientific papers) or combination with IoT data is now available to everyone, even small companies. On the other side, advances in data science, deep learning and its implementation with text gave us hope that we are going in right direction of understanding how to make computers/machines learn what’s written. It’s good to know that deep learning is not some kind of magic wand that can solve all our problems. We can see it as peace of a puzzle in our way of coping with this challenge. 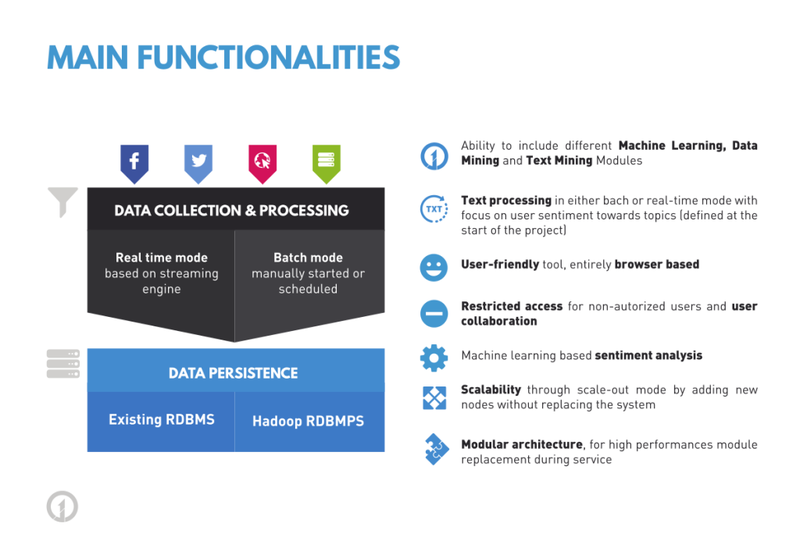 Having all this in mind, our main idea was to create system that is based on big data technologies to cope with large, various and fast textual data. On top of that, we needed help from field called data science to find insight and knowledge in these data. We call this system JupiterOne. As you can notice we called it Jupiter since it’s largest planet in our Solar system. This giant planet has mass two and a half times that of all other planets in our Solar System combined. It was so respected in ancient times that even mighty Romans named their god Jupiter (king of the gods). We think it is an ideal name for a system based on Big Data and Data Science, since it represents power. Power from vast data volumes and value hidden in them. Main mission of JupiterOne is to help people understand how language is used in everyday conversations. With help from data science it can uncover “who” wrote “what” with informations like “where” and “when” did this happened and also “why” the conversation is happening. Conversations are categorized, entities are extracted and topics of discussion are identified. Uncovering this sentiment is especially difficult and is the biggest challenge of data science work. Even tough text analysis is provided in many of todays solutions, JupiterOne has simplicity in mind. To find out answer on your question in three simple steps and get useful insights from data both in real-time and batch mode is where real business value is hiding and something that is possible with JupiterOne. Identifying the sentiment of the conversation creates valuable insights and enables businesses to listen to their customers. These data can even be incorporated into existing business data and business analytics. JupiterOne incorporate both in-house and external data into one independent system, enabling companies to listen and respond to conversations with the customer and to mentions of the company in the wild. There are many examples of text analytics use cases and they are essentially limitless. And there is significant value in listening to the costumers. The conversation is immediate, people are talking in the moment they have an experience, in the moment they interact with the brand or the company. They are having conversations to try and figure out which brands/bank/politician they trust. When you know what is written in the wild you can track connections between people who wrote it and find influencers, leaders and track expansion of certain topic. As mentioned with great power come great responsibilities. This is mainly concerned regarding data privacy. To provide insights and knowledge to costumers and, on the other side, provide privacy for each person is something that JupiterOne has in its fundamentals. 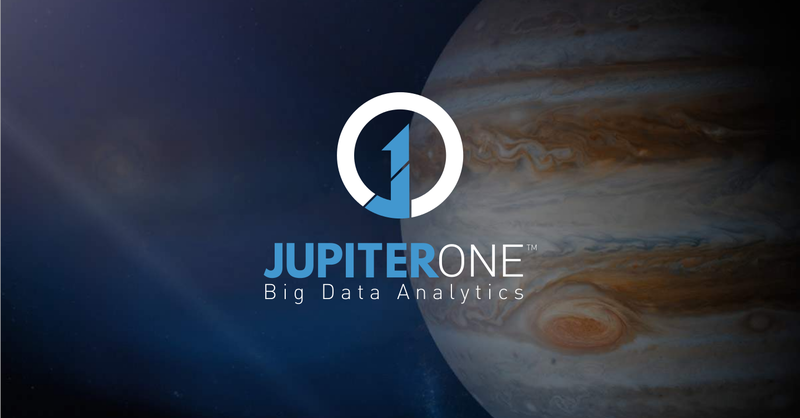 Even though JupiterOne is enterprise solution, some of its analyses and case studies are provided for all people who are interested in public opinion regarding certain topics. Want to know who would be next US president in 2016, or which bank is most favorable in certain country, or you want to find out difference between certain products in beauty industry? As you probably know, recommendations and opinions from other people regarding certain product have influence in buying decisions. All these questions now have their answer thanks to modern and complete solution JupiterOne. If you want to join us on our journey of knowledge discovery, take our advice and start small, get familiar with the data. Have a clear idea of the questions that you want to answer. Explore and give yourself a chance to be surprised. Text analytics is hard and imperfect, but it is still providing very real business value to all sides likes brands, products, and companies on one side and general public on the other side. You can use all the data you can get, but you still have to distrust it and use your own intelligence and judgment. Systems like JupiterOne are not here to replace your judgment, but to help you make better decisions with better understanding of opinions and needs of customers. Data is only useful if you apply it.